TRIBAL FAIR – Where Art comes Alive! 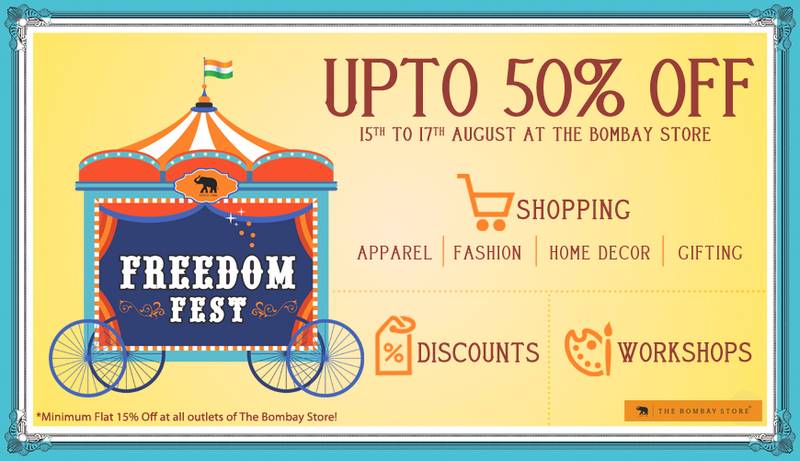 After the Shopping Carnival & the Freedom Fest, The Bombay Store is here again with yet another exciting event – Tribal Fair! Join us as we welcome SAHAJ, who will be exhibiting its collection in the Tribal Fair from 14th September to 20th September. SAHAJ is an organisation for Women’s Development whose objective is to improve livelihoods of poor artisans in tribal areas through non-farm activities & provide self-employment opportunities to artisans through art- and craft- based micro enterprises. With Navratri knocking the doors, this is your place to shop for a variety of traditional Chaniya Cholis (For women’s & kids), Beaded jewellery, Tassel hair clips, stylish bags & hair clips. Apart from Fashion Accessories, you will also see amazing Home Decor products which include Placemat & Runner, Napkin & Coasters, Cushion Covers and Beaded Napkin Rings for you to deck up your home. Yes. You read that right. We also have dancers performing live tribal dance every hour for 10 to 15 minutes to keep you entertained. The Bombay Store has always played a crucial role for NGOs by providing them with a platform and making them self-sustainable. Be it by developing, sourcing and retailing merchandise for Magic Bus to support their cause of harnessing the power of sports to develop the lives of children from marginalised communities in India; by opening our doors and wholeheartedly welcoming the ‘products’ made by the kids of Akanksha Foundation; by supporting Project Crayons in raising funds for the marginalized communities or by joining hands with Elephant Parade for the cause of Asian Elephant Conservation. We have always effectively pertained to our Corporate Social Responsibility. So come & Join us in supporting this movement for Empowerment of Women.